Once again I used supplies I had at home, so it didn't cost me anything to make it. I started by making a drop cloth envelope pillow cover for a 12x16 pillow form I already had. of one of my fall bins, :) and hot glue. I attached the twine from side to side and made little loops with it to hold the leaves. and I didn't want to run to the store just for that. 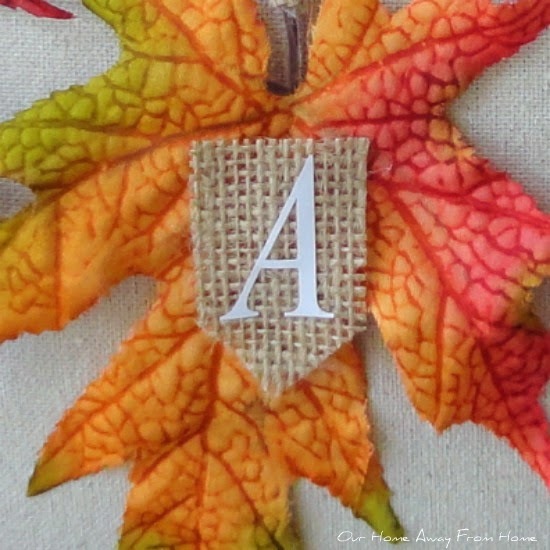 I added to each one of the leaves a small piece of burlap and vinyl letters to spell Fall. And that is it! Very simple. 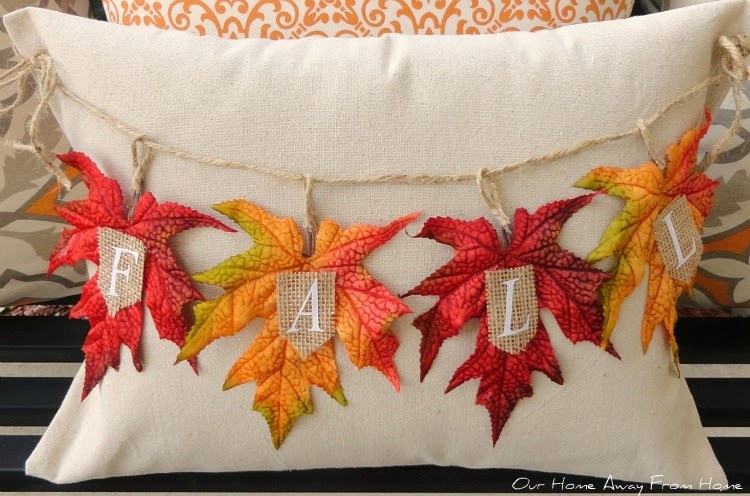 I am using this pillow as part of the Fall decor on the front porch, which I will be sharing soon. I wish you all have a super great weekend. I LOVE, it and it's so easy to make! I also like your idea of using little clothes pins, but it looks great without them. So pretty! Thanks for the tutorial, and have a great weekend. This is a darling pillow. So creative! Happy Anniversary!! I LOVE that gorgeous pillow! Happy Anniversary to you and the hubs!! LOVE that pillow Maria Elena! The pillow is the perfect fall accent! Happy Anniversary to you and your husband! Enjoy the week-end! Very cute and what a great look! Happy 33rd Wedding Anniversary! We've been married 36 so you're not too far behind us! Your pillow colors are so beautiful!! Happy Anniversary! Such a pretty pillow! Happy anniversary to you too!! Enjoy your weekend! Very cute, Maria Elena! I love that you used some loose leaves you found in your bins. I find several every year and can never figure out where they have come off of. This is a good way to use them. Happy Anniversary, Maria Elena! All the very best! Your fall accent pillow is very pretty and perfect for this season of cozy cocooning! Adorably cute and simple...just what I like. Another adorable yet simple idea. 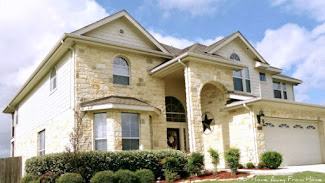 Looks great. What a cute idea. You could keep the drop cloth background and just keep changing out the design hanging on the front. Thanks for sharing your fall decorating tips on Merry Monday. You are the Queen of pillow making Maria Elena! This one is darling!! Thanks for sharing with SYC.